1st Kaitlyn McMurtry, 2nd Noah Amos Eakin, 3rd Brynn Davis-Hay, Georgia Conechado Judges Commendation: Koby Pollock 15 to 17 years 1st Jack De Costa, Sam Batson, Jack Reed, 2nd Mikayla Donnel, 3rd Max Shwager, Jack Long, Leon Meredith. 1st Madison Stewart, 2nd Myriam Frank, Madison Holroyd https://vimeo.com/62967592, 3rd Bec Kilpatrick Winners received an iPad, mentoring with professional filmmakers and prize packs. A fantastic evening was had by all and Youth Council are looking forward to making this an annual event. 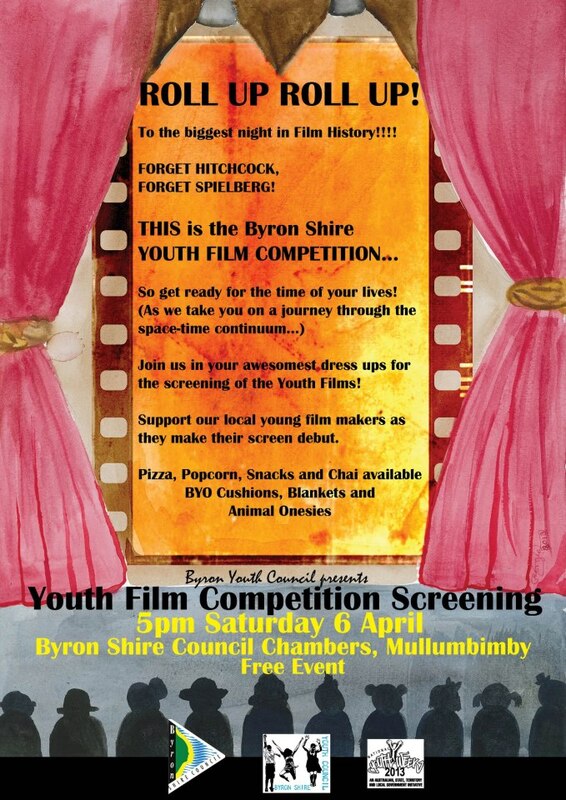 The third annual Byron Shire Council Youth Arts Project has once again highlighted the depth of artistic young talent in the shire. Eight winners were announced last week at an exhibition held at the Ocean Shores Community Art Gallery as a part of Byron Shire’s Youth Week celebrations. The gallery was overflowing with young people and families enjoying the artwork exhibited on the walls, listening to the music of young performers and sharing delicious food. Youth Council member and resident photographer Millie Hartigan, was on hand to take photos of the evening and was very impressed with the quality of the artwork. “Each year we are getting more amazing art entries in the competition, which means more and more amazing artwork throughout our towns,” she said. The Youth Arts Exhibition ran for a week at the gallery and the eight winners each received $200 prize money and had their artwork made into postcards. Byron Shire Council, youth activities officer Belle Arnold said one of the most fulfilling aspects of the competition was seeing the artwork being turned into public art and displayed on community buildings throughout the shire. “Young artists proudly see their creative talent on public display and community buildings are brought to life and help foster community pride,” she said. One of the winners, 15 year old Nickolla Clarke from Ocean Shores, said she couldn’t believe how wonderful it was to have her artwork recognised in this way. 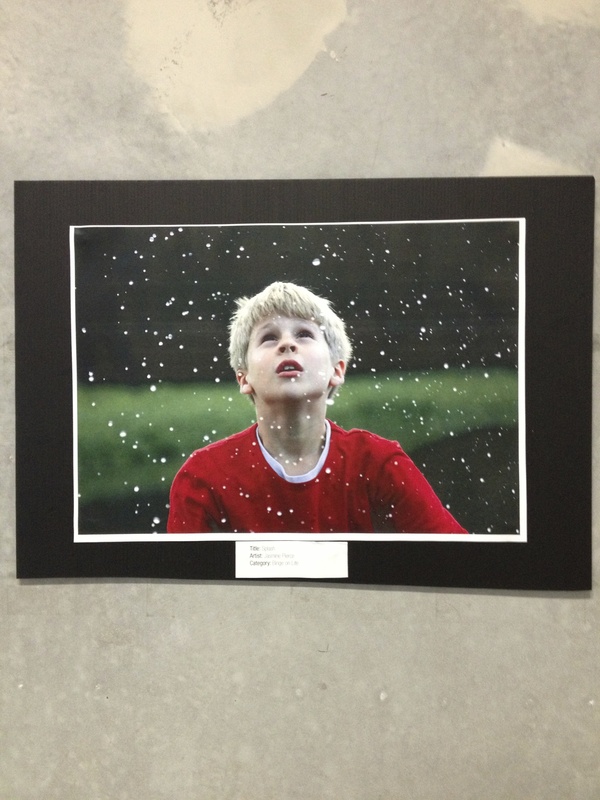 “This is the first time I have entered, and it is amazing and so encouraging that I won a prize. I can’t wait to see my artwork made into Public Art and put up somewhere in the shire,” she said. From left: Phoebe Lines with Youth Council members Nickolla Clarke, Azi Currie, Jack Long, and Millie Hartigan.